As a Stratus customer, you will take advantage of our faster, more reliable network access. With this access, you will increase your company's capabilities and productivity. This is made possible through our custom-built private fiber optic rings and our unique partnerships with carriers of all sizes. Don't let a network outage leave your company in the dark. Work with Stratus to create an outage-proof network with a wireless backup that will keep your network up and running at all times. Based in Illinois, Stratus Networks is a boutique provider that offers white glove service to every customer, which includes a dedicated Project Manager and consultative technical support. We utilize our vast knowledge, experience and innovative approach to give you unmatched customer service. Whether your business has one location, or thousands, Stratus Networks will make the process of dealing with multiple carriers seamless. We'll manage quoting, installation, service, and the billing process, letting you focus on what’s most important--your business. Billing errors will cost your business time and money. Stratus has developed an advanced and accurate billing system that provides you the right billing amount each cycle. If there is a mistake, our responsive customer service will make necessary corrections immediately. If bad customer service, billing errors, or unstable connections are impacting your business, give Stratus Networks the opportunity to show you how we improve the communications of businesses around the country and can do the same for your company. We have another great addition to our management team. Pierce Widham has joined Stratus Networks as Vice President of Wholesale Sales. He will be responsible for maintaining and increasing Stratus’ wholesale division. Prior to joining us, Mr. Widham served as Vice President of Sales at Paradigm Telecom and as a sales leader at Windstream. 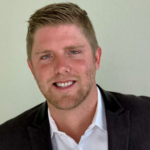 With leadership experience in Direct, Enterprise, Channel, and Wholesale divisions from startups to Fortune 500 companies, Mr. Widham has developed a valuable playbook that will continue to strengthen Stratus Networks’ sales capabilities and customer experience efforts. Pierce is a graduate of Baylor University and currently resides with his wife and two children in the greater St. Louis area. We are very pleased to announce the promotion of Ben Russell to Chief Technology Officer (CTO). Mr. Russell has many years of experience in network design, operations and troubleshooting, spanning multiple industries and municipalities. This is a new position within the organization. 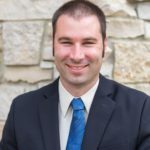 In addition to his work leading the internal technology teams, Mr. Russell works closely with Stratus’ partner Cisco on testing, training, and hiring initiatives. Prior to this promotion, he served as Stratus’ Senior Network Engineer.